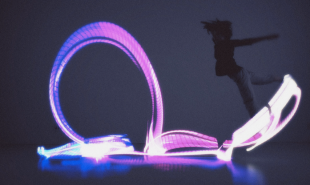 Dancers and artists have always used clothing and lighting creatively to accentuate their movements and enhance their performance, and now Orphe — a smart shoe system from No New Folk — will enable them to do both at the same time. Orphe is a creative, smart wearable for artists and performers that uses 9-axis motion sensors and nearly 100 serially-controlled LED lights, putting an entire light show at the wearer’s feet. The shoes use a wireless module to connect the performer’s movements to the light and sound elements in their show via a tablet: the LED lights can either react to music and movement or, inversely, the movement can control musical elements. 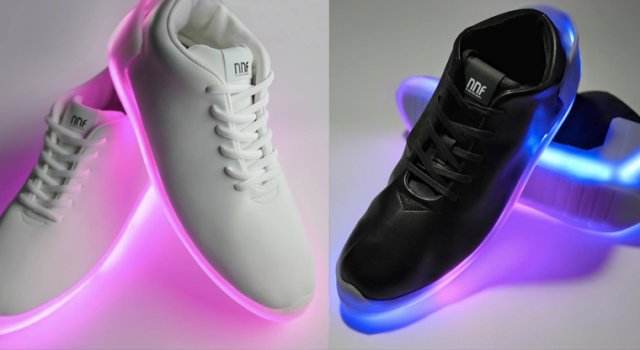 Users interact with the technology via an online platform, designing custom illuminations which they can upload wirelessly to the technology embedded in the soles of the shoes. They can then share the designs they create with a community of other wearers. In this way, the company hope that innovative users will help them develop and expand the technology’s creative possibilities. Orphe are currently crowdfunding on Indiegogo. Pledgers can pre-order a pair of shoes in black or white along with the software for USD 299. No New Folk have already fulfilled their USD 30,000 goal and expect to complete the first orders in February 2016. Is there other wearable tech which could be adapted and integrated into the creative arts?